The photograph shows an experiment in which dense deuterium is irradiated by a laser. The white glow in the container in the centre of the photograph is from deuterium. A material that is a hundred thousand times heavier than water and more dense than the core of the Sun is being produced at the University of Gothenburg. The scientists working with this material are aiming for an energy process that is both more sustainable and less damaging to the environment than the nuclear power used today. Imagine a material so heavy that a cube with sides of length 10 cm weights 130 tonnes, a material whose density is significantly greater than the material in the core of the Sun. Such a material is being produced and studied by scientists in Atmospheric Science at the Department of Chemistry, the University of Gothenburg. So far, only microscopic amounts of the new material have been produced. New measurements that have been published in two scientific journals, however, have shown that the distance between atoms in the material is much smaller than in normal matter. Leif Holmlid, Professor in the Department of Chemistry, believes that this is an important step on the road to commercial use of the material. The material is produced from heavy hydrogen, also known as deuterium, and is therefore known as “ultra-dense deuterium”. It is believed that ultra-dense deuterium plays a role in the formation of stars, and that it is probably present in giant planets such as Jupiter. So what can this super-heavy material be used for? “One important justification for our research is that ultra-dense deuterium may be a very efficient fuel in laser driven nuclear fusion. It is possible to achieve nuclear fusion between deuterium nuclei using high-power lasers, releasing vast amounts of energy”, says Leif Holmlid. The laser technology has long been tested on frozen deuterium, known as “deuterium ice”, but results have been poor. It has proved to be very difficult to compress the deuterium ice sufficiently for it to attain the high temperature required to ignite the fusion. Ultra-dense deuterium is a million times more dense than frozen deuterium, making it relatively easy to create a nuclear fusion reaction using high-power pulses of laser light. 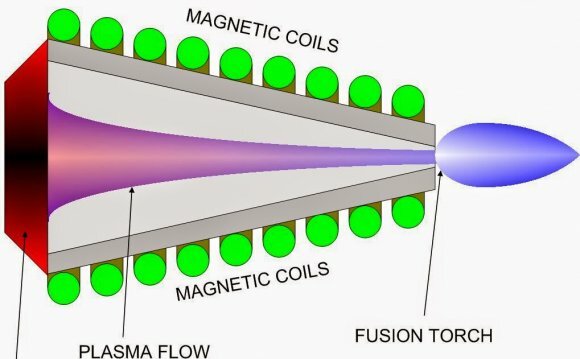 “If we can produce large quantities of ultra-dense deuterium, the fusion process may become the energy source of the future. And it may become available much earlier than we have thought possible”, says Leif Holmlid. Deuterium is an isotope of hydrogen that is found in large quantities in water, more than one atom per ten thousand hydrogen atoms has a deuterium nucleus. The isotope is denoted “2H” or “D”, and is normally known as “heavy hydrogen”. Deuterium is used in a number of conventional nuclear reactors in the form of heavy water (D2O), and it will probably also be used as fuel in fusion reactors in the future. The above post is reprinted from materials provided by University of Gothenburg. Note: Materials may be edited for content and length. University of Gothenburg. "Ultra-dense Deuterium May Be Nuclear Fuel Of The Future." ScienceDaily. ScienceDaily, 12 May 2009. .
Voltz War - Episode 6 - Deuterium Extractor!